Between the sheets and the eye there reigns a silence still, the condition and delight of reading. 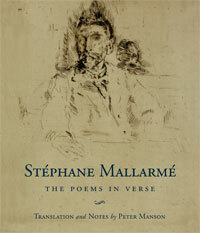 Peter Manson’s magnificent translations in Stéphane Mallarmé: The Poems in Verse are not to be hastily consumed. These are works of a patient and conscious art that releases its enchantment in a slow, increasingly potent vapour. There is the initial seduction of the dizzyingly synaesthetic language: a sense peculiar to Mallarmé of a cold, chaste perfume that seems, on the one hand, to be almost suffocating in its density, and on the other to be as motionless and odourless as a fretwork of stone. This can translate badly into English as an alienating manneredness or, worse, as tweeness. But, as Manson’s translations demonstrate, this most elusive of poets wove his enigmas out of intellectual steel. At the heart of Mallarmé’s poetry is exquisitely poised contradiction: icy passion, lucid ambiguity, sensual pleasure and disgust. The word is theatricalised as a carnal embodiment of ideas. It’s clear that such a poetry presents formidable challenges to any translator, and it’s unsurprising that Mallarmé has often attracted those most interested in innovative poetry. Manson, a contemporary Scottish poet based in Glasgow, is no exception. The Poems in Verse reproduce en face the poems included in the 1945 Pléiade edition of Poésies, with substantial annotations. In his extensive bibliography Manson includes a long list of previous translations, from those of the modernist Irish poet Brian Coffey to the Victorian poet Arthur Symons; other unlisted translators include Paul Auster, Cid Gorman and the early Australian poet Christopher Brennan. To reascend the unfathomable blue. But Mallarmé’s influence runs more deeply than colonial pastiche. Christopher Brennan, often cited as our first ‘serious’ poet, planted the seed. Brennan, born in Sydney in 1870, famously ‘went in for verse’ after he encountered Mallarmé’s poems as a young man. One of Mallarmé’s earliest admirers, Brennan corresponded with him and also translated his work, although his influence is better rendered in Brennan’s original poems than in the translations. Brennan’s quixotic attempt to create an Australian outpost of French Symbolism meant he remained obscure in his own day, but his veneration of Mallarmé created a trail of influence through the entire corpus of modernist Australian poetry. Later poets, from Judith Wright and Kenneth Slessor to John Forbes and Robert Adamson, found in Brennan’s Eurocentric intellectual seriousness a beginning point for their own work, and in particular a means to wrench Australian poetry in English out of its nationalistic parochialism. Where the dense gates with iron clangor daunt. I myself have put you in a place of porphyry. against the thick iron portals of the tomb. The clarity and modernity of these lines demonstrate the justness of Manson’s decision, explained in his afterword, to ignore Mallarmé’s prosody, looking rather to an austere exploration of sense. As he says, ‘These translations were done in the conviction that a translation of Mallarmé should at least be allowed to sound like interesting modern poetry, and that the … use of rhyme and regular metre is one of the surest ways of forbidding that from happening’. Instead, he has given us ‘unashamedly semantic translations of a poet whose best writing seems designed to put a semantic translator to shame.’ It is one of the miracles of translation that in so doing, Manson has created poems with such strong melodic qualities. Or perhaps it is more that, in following the meanings first, he is replicating Mallarme’s own thinking about composition, and so creating a kind of music of thought. is drowned, and mainly bottoms up. the white disquiet of our cloth. Manson’s translation here seems to be walking a tightrope, in danger, at any moment, of stumbling, but recovering a graceful balance in the next line or even the next syllable. The diction is constantly surprising, as when he makes the unexpected lineation of ‘poop- /deck’, or in the casual introduction of colloquialisms (‘bottoms up’, ‘thunder-struck’, ‘showboat’) that strike against the classical allusiveness of ‘sirens’ or ‘benison’. Cid Gorman’s very lovely rhymed version of ‘Salut’ renders the final lines as ‘To whatever is worth / The white concern of our sheet.’ In comparison, you can see how delicately Manson teases open the complexities of meaning: resisting the temptations of lyrical simplification, he permits those tiny extra syllables to syntactically insist on the ‘no thing’, the rien, (‘whatever this is that was’) that is the poem itself, and allows unshowy internal alliterations and half-rhymes (‘whatever’, ‘was’, ‘worth’, ‘cloth’) to quietly frame and highlight the sudden disturbance of ‘disquiet’. 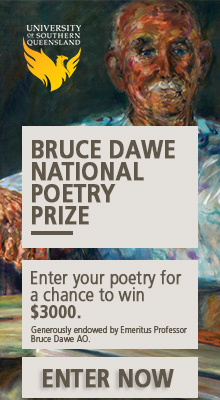 It demonstrates an unerring rhythmic instinct, which makes the poem deeply pleasing to say out loud. This detailed attentiveness plays through all the poems in the book, which are always Mallarmé, but also always various. They range from the grotesqueries of ‘The Clown Punished’ to the surprising and charming ‘Low Songs’ (an illustrated sequence of short, vivid verses about different Parisian street sellers), to the sternly gorgeous later sonnets. There’s a feeling of suspension, even of improvisation, that gives the whole collection an animating breath, and which mitigates what might otherwise become an overwhelming authority. You read between several versions: the en face French poems, with their authority of origin; the hypnotic sureness of the translations; and a restless feeling of incompletion that spills out into the Scholia, or annotations, that attend every poem. (These fascinating notes are located at the back of the book, so each poem can be read in tandem with the Scholia, or not, as the reader chooses). I suppose this feeling of suspension really points to Manson’s lightness of hand. He says he originally sought ‘interference patterns’ between the French alexandrine line and the English pentameter, and then confesses, disarmingly, ‘but really I’ve been playing it by ear’. And what an ear. Manson’s translations are probably as close you can get to experiencing the intoxicating fascination of Mallarme’s work if, like me, you can’t read French. I can’t think of a more generous introduction to one of the giants of French poetry. Thanks John. Definitely, you need to read Peter’s work, both these translations and his poems, which I also admire!